One of the difficulties that the anti-systemic movements and those who continue to be pledged to constructing a new world confront consists of not attaining agreement on the definition of what is happening before our eyes. In broad strokes, two not necessarily opposed but very different views coexist: those who maintain that we are facing a crisis, greater even than the cyclical crises of capitalist economies, and those that tend to consider that humanity is being led to a situation of collapse by the system. Understanding that we’re dealing with a theoretical debate with strong practical implications, since we would be facing two very different situations. It’s worth remembering that in other periods of recent history, the rise of Nazism for example, provoked deep divergences between the lefts of the epoch. Not a few failed to consider the importance of Nazism as a real systemic mutation, and thought that it was about an authoritarian regime similar to others that we had known. Nevertheless, with the passage of time we are able to agree with Giorgio Agamben that the field of concentration modified politics at the root, together with what he defined as a permanent state of emergency. 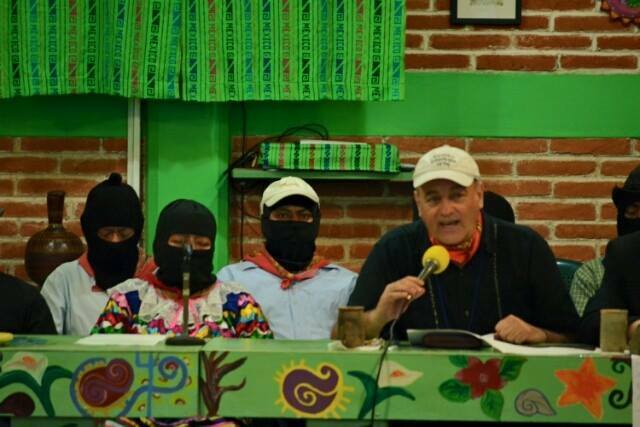 The seminar-seedbed Critical Thought versus the Capitalist Hydra, organized by the EZLN from May 3 to 9 in Oventik and San Cristóbal de Las Casas, was the scene of the diverse views that cross through us, and their extraordinary wealth and fecundity. Many diverse analyses about the current world coexist within the anti-capitalist field, some well-founded, others more romantic, some focused on the economy and others on ethics, and many others are combinations of these and other forms of gazing and comprehending. I think that all of them have their importance, but they lead along partially different paths. Or, better, they can contribute to squandering forces. What’s most complex is that no one can claim to have truth in his or her hands. This point seems to me extraordinarily complex, because it doesn’t permit discarding any proposal, but neither can it lead us to giving validity to any argument. It seems to me necessary to distinguish between crisis and collapse, not because they are exclusive, but rather because they embody two distinct analyses. The concept of crisis is associated, in the anti-systemic field, with the periodic crises that the capitalist economy crosses through. On this point, the work of Karl Marx is an obligatory reference for anti-capitalists of all colours. His analysis of the crisis of over-accumulation has been converted, with complete justice, into the crucial point for comprehending how the system functions. From there derives a group of strictly present considerations. Although some economist currents have coined the idea of the “collapse” of capitalism because of its own internal contradictions, and fail to consider the importance of collective subjects in its fall, it is evident that Marx is not responsible for this drift that he knew to have firm followers in the first part of the 20th Century. In the same direction as Marx, Immanuel Wallerstein mentions the existence of a systemic crisis underway, which, after several decades of development, will give way to a different world than the current one (since at a certain moment it will produce a bifurcation), which can lead us to a better or worse society than the present one. We would be facing a window of temporary opportunities, during which human activity can have a large confluence in the final result. In this analysis, the crisis will be converted into chaos, from which will come a new order. The idea of crisis is associated with periods of change, disorder, instabilities and turbulences that interrupt the normal development of things, and that after a certain time become a new but modified normality. In the crisis factors of order can emerge in the crisis that will give the new a different physiognomy. From the movements’ point of view, it is important to discard two things: that the concept of crisis is associated too much with the economy and that it appears linked to transformation and changes. If I understood correctly, following the words of Subcomandante Insurgente Moisés, who said at the closing of the seminar-seedbed that: “we don’t know whether we’ll have time to multiply this,” what lies in wait is not a crisis, but rather something more serious. He insisted: “time is not waiting for us,” and said that walking is no longer sufficient, but it’s rather time to trot, to go faster. 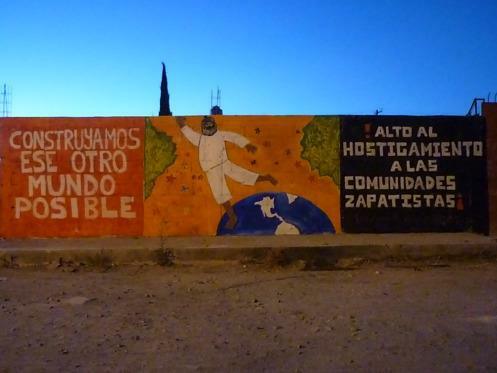 The previous night, Subcomandante Insurgente Galeano said that up to 40 percent of humanity would be migrants and that there will be depopulation and destruction of zones in order to be restructured and reconstructed for capital. I believe that he wasn’t thinking about a crisis, but rather about something that we could call collapse, although he didn’t use that term. The collapse is a large-scale catastrophe that implies the bankruptcy of institutions, in the form of rupture or definitive decline. There were many crises in history but few catastrophes/collapses. For example it occurs to me what happened with the Tawantinsuyu, the Inca Empire, because of the arrival of the invaders. Something similar can have happened to the Roman Empire, although I don’t have sufficient knowledge to assure it. Anyhow, the collapse is the end of something, but not the end of life, because, as happened with the Indian peoples, they rebuilt after the catastrophe, but as different subjects. If in truth we face the perspective of a collapse, it would be the sum of wars, economic, environmental, health and natural crises. Just one fact: the World Health Organization warned that in the immediate future antibiotics will be incapable of combating the super-bacteria causing tuberculosis and pneumonia, among others. In sum, the world as we know it can disappear. If this is the immediate perspective, and those above know it and prepare for it, the Moisés’ haste is fully justified. It is time to accelerate our step.